There is one thing that all Southern moms like to do, especially at Easter. Any guesses? It’s matching, of course! Moms and grandmothers who have boys and girls love to match their outfits. At That Store, we LOVE a challenge! And there’s nothing more challenging that matching or coordinating outfits for children. Southerners know that a family Easter picture has to be just right!! Everything has to coordinate or match, down to the outfits that the little ones are wearing! Now this may seem like an easy task, and most of the time, it is. But, when a mom has a 9month old boy, a size 3t girl, and size 12 girl, it can get a little tricky! That’s three different size ranges! At That Store, we rely on our favorite brands like the Bailey Boys, Funtasia Too, Mom and Me, LeZa Me, Anavini, and more to specialize in offering their smocking or appliqued designs all the way from the smallest of infants all the way to size 16. Easter egg hunts, Easter Sunday, and Easter pictures. It’s a Southern thing! Let us at That Store coordinate your little ones outfits this Easter! Remember, your pictures and memories at Easter will last forever! The Bailey Boys Chicks group! This Bailey Boys Big Bunny Reversible Aline features a precious Easter bunny on one side and three pink sailboats on the other! 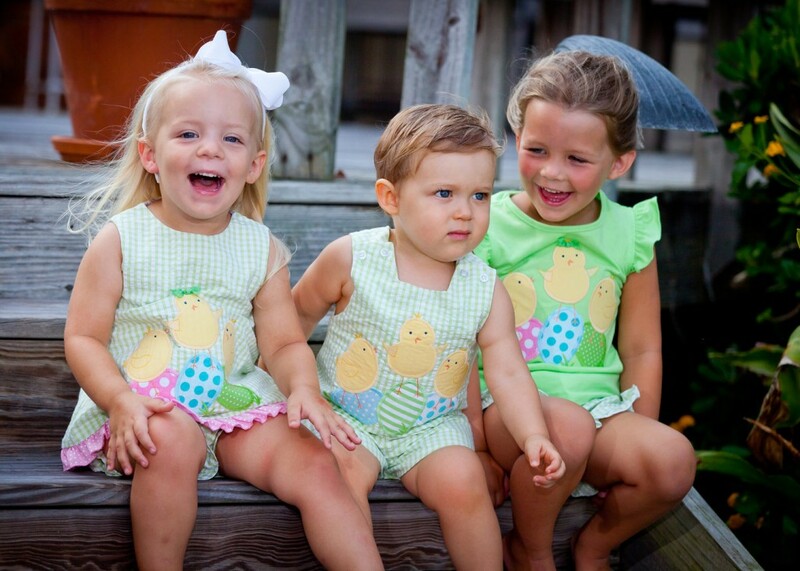 Shop That Store today to see the rest of our large selection of reversible Easter outfits! Under Armour Now at That Store!